Thiru.T.Anbalagan, I.A.S., Collector of Karur District. He belongs to 2011 IAS Batch. He graduated from College of Engineering, Guindy, Anna University in Mining Engineering discipline. He was the topper in 2001 Batch Deputy Collector exam(Group –I) conducted by Tamil Nadu Public Service Commission. He underwent training in Nagapattinam District and assumed charge as Revenue Divisional Officer in Cheranmahadevi, Tirunelveli District. 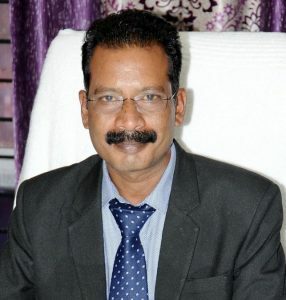 He discharged his duty as District Revenue Officer in Chennai District and worked in various departments viz :- Outer Ring Road project, CMDA, TAMPCOL(Tamil Nadu Medical Plant Farms & Herbal Medicine Corporation Limited), Greater Chennai Corporation and Electronics Corporation of Tamil Nadu before elevated to Indian Administrative Service. Thiru T.Anbalagan, I.A.S joined on 02.03.2018 as District Collector and District Magistrate in Karur District.